Literacy Volunteers of Chautauqua County is a non-profit organization that helps adults who want to read, write, or speak English better. They are adults who are 18 years and older and need help with either reading and writing or speaking and listening skills. Anyone who has the desire to help others, the time to volunteer, the appropriate skill set and the willingness to learn can become a Literacy Volunteer. Students and tutors decide where and when to meet. Pairs meet for 2 or more hours a week for at least one year in public places. 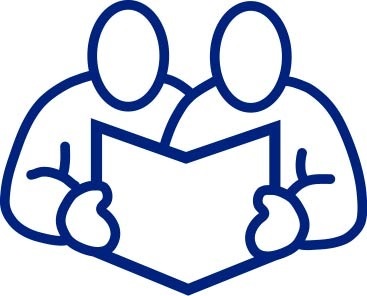 Tutors often use resources from our adult literacy library to design lessons targeting individual student needs. How do I contact the Literacy Volunteers? Do you have what it takes to be a Literacy Volunteer??? Click here to view the PDF and find out! Whatever your personal literacy goal may be, we can help you help yourself. Literacy Volunteers of Chautauqua County offer FREE, one-on-one tutoring for adults in Basic Literacy and English Language Learning.